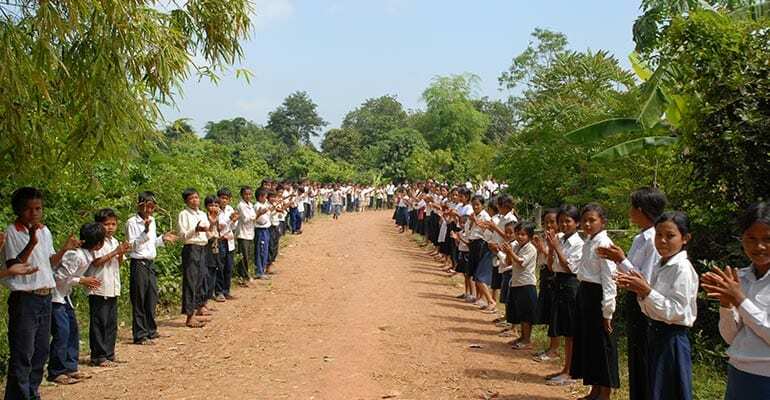 The Teach Them To Fish Foundation, Inc. built a 5 room brick school building to educate three hundred and eighty (380) primary school children in Prey Phghes and Ba Sre villages in Battambang Province, Cambodia. 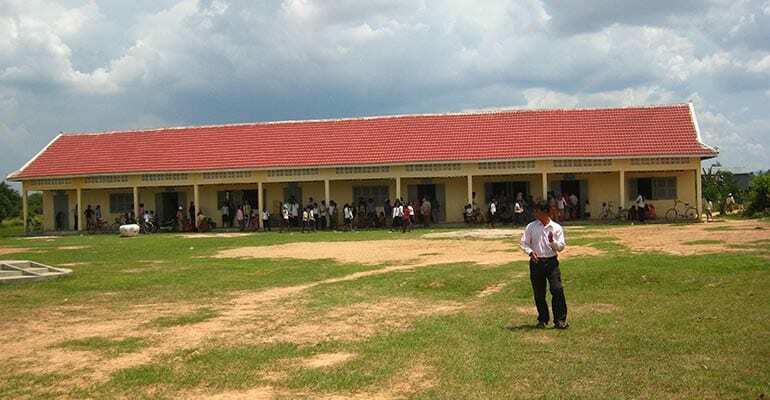 We selected Cambodia for this school because Cambodia is one of the world’s most underdeveloped countries. We selected Battdambang Province because of the devastating impact of landmines from nearly three decades of military conflict. 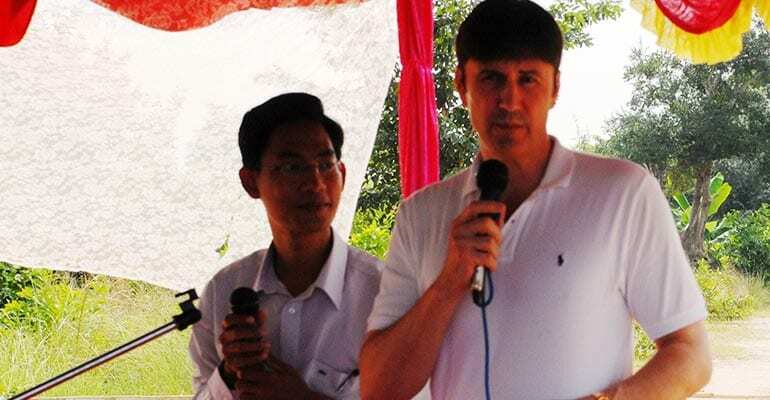 We selected Prey Phghues and Ba Sre villages because of their remote location, lack of basic human necessities, and their need for a primary school facility to educate their children. 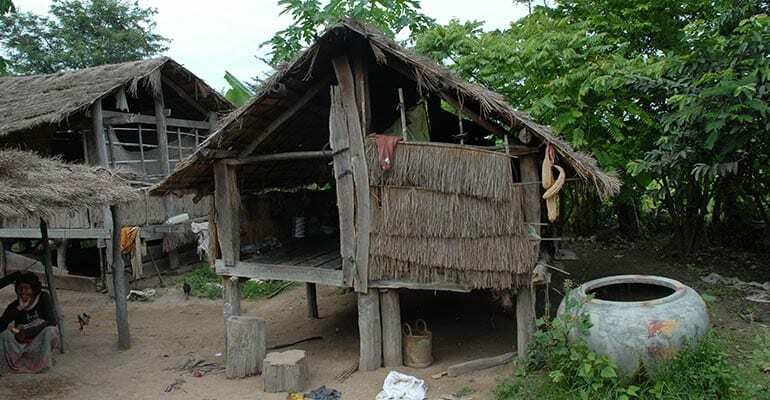 We learned of these villages’ despair through referrals and Cambodian newsletters describing the villages’ plight. To visit Prey Phghues and Ba Sre villages in Battambang Province, Cambodia, a former Khmer Rouge stronghold where known combatants secrete themselves in the jungle, drive northwest on National Route 5 from Phnom Penh toward the Thai-Cambodian border; and, in about three hundred kilometers, turn left onto a dirt road. Be careful. There are no road signs. While Route 5 is paved, flat and, by Cambodian standards, relatively modern and well maintained, you need a full-time “4-wheel drive” once you leave the highway. Within minutes, you find yourself negotiating mogul fields peppered with unmarked hazards and pot-holes the size of a Land Cruiser. Fifteen minutes of driving brings you to a river severing the road. Locals use a rickety foot-bridge on the left to cross — obviously built by hand during an extremely dry season; but, you and your vehicle will need to wade against the river. 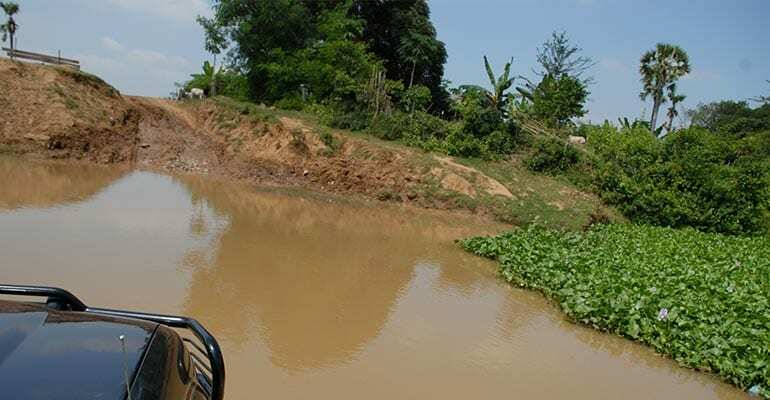 During the rainy season, however, the river will be impassable stranding the villagers and leaving the villages isolated from the outside world. 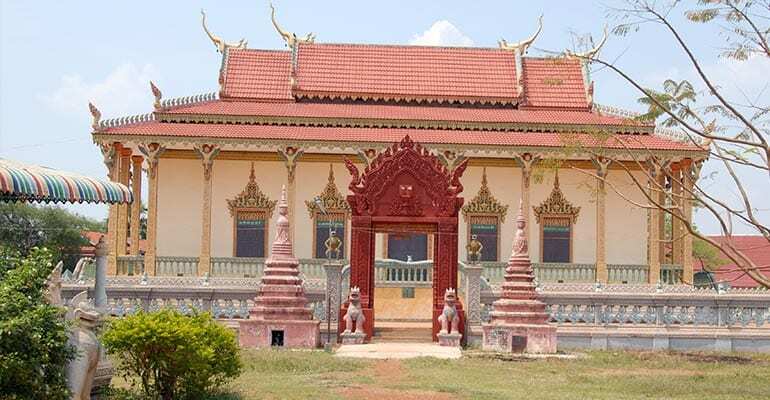 The crossing reveals the Khmer past. Except for the occasional motorized cart and cell phone tower, little has changed in centuries. Palatial pagodas, white washed with gold colored spires, dot the countryside like feudal castles towering over subjugated peasants. As breathtaking as the surroundings may be, maintain proper look-out at all times. 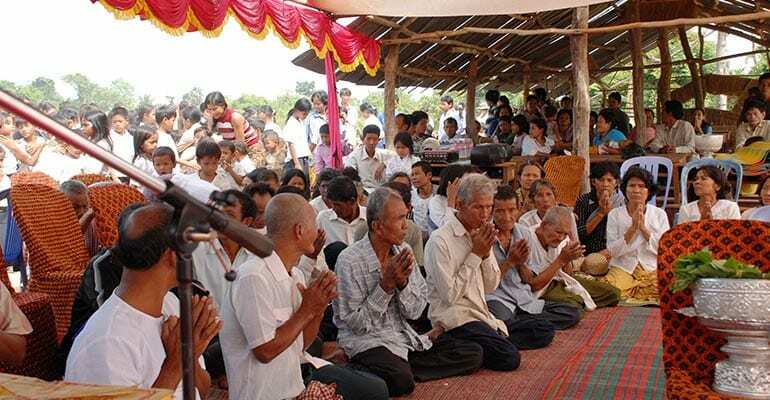 Our driver hit a cow on two separate occasions – each a grave offense in Cambodia. After nearly thirty minutes of negotiating ever dwindling dirt roads often overgrown with vegetation, you leave your vehicle behind and complete the journey on foot. In a little less than a kilometer, a cleared area emerges. 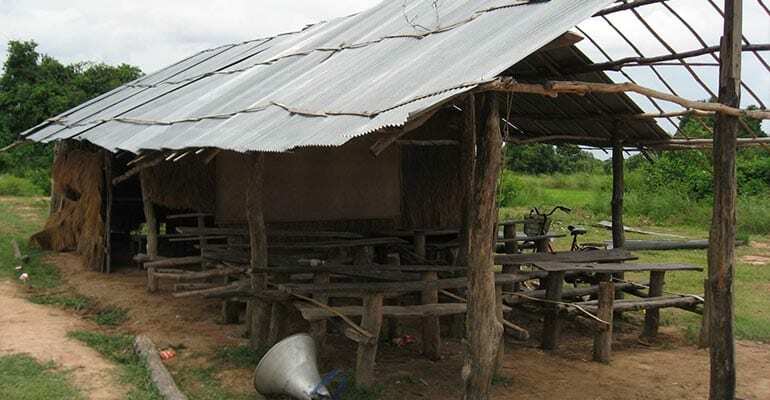 In the center, a structure erected out of tree limbs, a few palms leaves for a back wall, and corrugated sheets of zinc for a roof serves as a quasi-community center and make-shift school for the villages’ children. Radiating out are a succession of interconnecting foot trails leading to two or three hundred hovels scattered, like the dappled shades of a chestnut tree, throughout the brush sheltering a thousand people. There are no roads, no electricity, no indoor plumbing, and no fresh drinking water. Villagers subsist on meals of mushy broken kernels of rice cracked during the drying process, called “broken rice”. In the “West”, the dog food industry uses the majority of our broken rice. When I walked to the clearing, more than three hundred and eighty grade school children, many with hair lightened from malnutrition, stood side-by-side lining both sides of the path, just on the edge of the grass, applauding passionately for my arrival and guiding me while I uneasily made my way between them. The path turned sharp to the right and narrowed significantly but was still adorned with more heart-warming smiles. I approached a large awning joined to the community center. The pitch of the children’s applause increased – they must have turned and followed me. Six monks dresed in orange colored triple robes of Buddha sat piously on chairs in front of the children’s parents who knelt submissively at the monk’s feet on mats lying on the ground. Except for the monks, everyone stood-up as I entered under the awning. The children assembled outside. I sat at a table, from the monk’s perspective, to the left. I gave a basket of fruit and 10,000 Cambodian riels (approximately $2.50 (USD)) to each of the 6 monks. Pat Pun, the school’s principal, spoke. Then, surprisingly, he asked me to speak to the villagers. 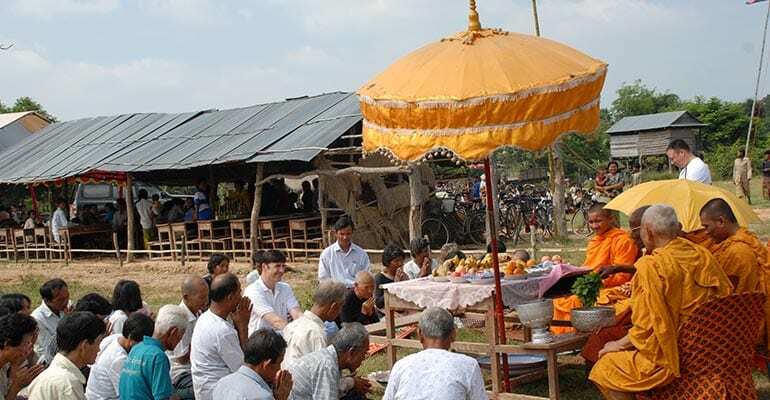 I put my heart back in my chest, held back my tears, and, in hopes of not offending some local customs of which I was ignorant, said but a few words: “You have honored me today by allowing me to come to your village and build a school. What greater endeavor may we do but to educate your children?” No sooner than I said: “thank you” than the monks rose and, like river ducklings vulnerable and swimming closely behind their parents, filed out in a single procession — their outer robes waiving in the breeze. The community leader gestured for me to follow. I obeyed. He pointed to a spot on the ground in front of a table. An old woman hastily threw down a mat under me. No sooner than the monks perched themselves on chairs behind the fruit filled table than they began in unison to chant rhythmically, in a simple singsong intonation, lyrics from a thousand year old blessing. Suddenly, I felt something damp drop on my arms. I looked up toward the sky. Villagers smiled. They must have sensed I wondered whether it was raining. I felt it again. I glanced up once more. Younger monks chuckled. I then noticed that the elder monk had palm leaves in his hand, dipping them into a silver bowl filled with water, and shaking them, ceremoniously, at me. I looked up into his eyes. For the 1st time, the elder smiled.